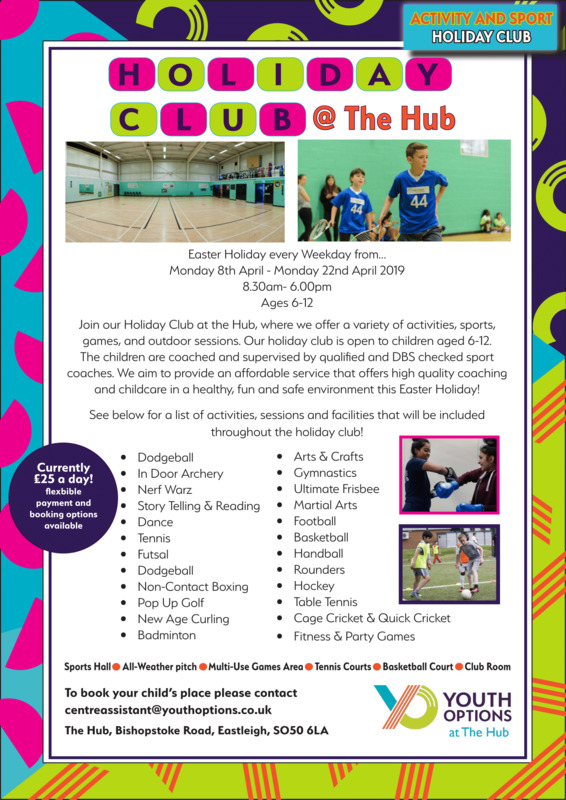 Join our Holiday Club at the Hub for Children this Easter, where we offer a variety of activities, sports, games, and outdoor sessions. Join our Holiday Club at the Hub, where we offer a variety of activities, sports, games, and outdoor sessions. Our holiday club is open to children aged 6-12. The children are coached and supervised by qualified and DBS checked sport coaches. We aim provide an affordable service that offers high quality coaching and childcare in a healthy, fun and safe environment this Easter Holiday! See below for a list of activities, sessions and facilities that will be included throughout the holiday club!